"..It is also about creating a community of healthy, wealthy and happy people," he said. One of the latest green developments in Cebu is Arthaland's Cebu Exchange. The P8-billion green building had its initial concrete pouring last May 29. 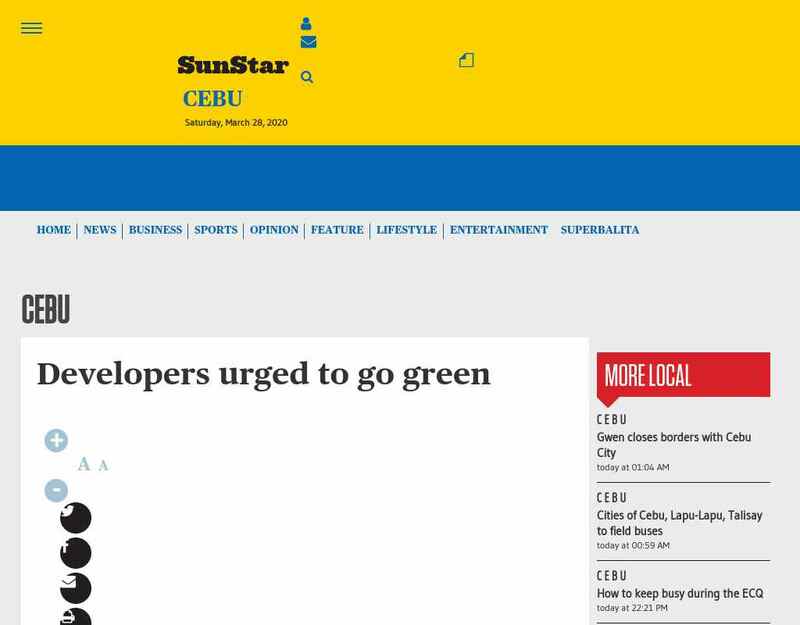 It is set to be ..."
"..REAL estate developers in Cebu are encouraged to pursue green initiatives in their developments to propel their businesses forward. Raymond Rufino, chairman of the Urban Land Institute (ULI)-Philippines ... of Arthaland Corp., said the company remains ..."
"..Compared to a handful of LEED-certified projects in the Philippines in 2010, the US Green Building Council database of green buildings shows there are currently 92 real estate projects that have been awarded LEED certifications in the Philippines ..."